To nominate someone for PLAYER, COACH or VOLUNTEER of the Month please visit our homepage and click on the . What team/teams do your currently coach? 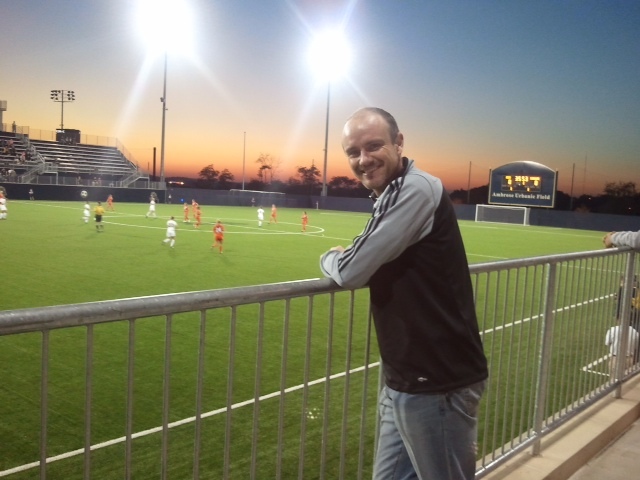 What coaching licenses do you have? What is your coaching experience? - Currently I hold the USSF National E License, USC Director of Coaching Diploma, and my International ChievoVerona Coaching Education Diploma from (Verona Italy). My Coaching Experience varies through all ages and skill levels of players. I started coaching High School boys back in Arizona at the JV and Varsity levels. Sense then I have been coaching competitive and Recreational soccer here in Boise for the last 4 years of all ages. I’m also Currently the Women’s Assistant Coach at treasure valley community college in Ontario Oregon. What experience do you have as a player? - I started playing soccer at the age of 4, I continued playing soccer all the way to 16, my final season playing I was able to help my team win our first schools state championship. Sadly, after that my soccer career came to an end from injury’s and I had to hang up my cleats. To this day I still love playing with my teams and I enjoy playing indoor soccer when I have the free time to do so. What is your most memorable soccer experience as a coach? -There is so many to choose from, but some of my favorite memories as a coach is taking a step back during training sessions while the kids are ending there sessions with small side games or scrimmages, and seeing players from all parts of the valley, different skill sets, goals, styles that are unified together for one common goal. To learn, grow, and enjoy the game of soccer. While there is a perfect sunset in the background. What is your favorite team(s)/player(s)? - David Beckham was always my ideal growing up, with his work ethic, skills and the way he carried himself on and off the field. Who is your mentor/hero and why? - My hero off the field has always been my father Marty Wimpee, he has always been there for me when times were tough, through injury’s and challenges, and has taught me how to treat people with respect. On the field was a Recreation coach of mine when I was 12 Phil Hopkins. He showed and taught me what a real coach is supposed to look like. How he handled his players no matter their skill or background, he taught me no player is above another. That we are a team and we need to support every player no matter what the cost win or lose. Tell us a random fun fact about you. -I’m a die-hard Rocky fan, and in my off-season, I love going snowboarding and spending time with wife and two daughters. ©2019 Idaho Youth Soccer. All rights reserved.